the body and the six sense organs and their objects — 18 Dhatus. rūpa is created by four components (sa., pi. mahābhūta): earth, wind, fire and water. sensing only, without differentiating pleasant, unpleasant or neutral. registers whether sense data is recognized or not (ie sound of a bell or shape of a tree). — (from samyutta-ñana, conditioned knowledge) perception, recognition. It is ordinarily conditioned by one’s past sankhara, and therefore conveys a coloured image of reality. In the practice of Vipassana, sañña is changed into pañña, the understanding of reality as it is. It becomes anicca-sañña, dukkha-sañña, anatta-sañña, asubha-sañña—that is, the perception of impermanence, suffering, egolessness, and of the illusory nature of physical beauty. all types of mental habits, thoughts, ideas, opinions, compulsions, and decisions that arised after having saṃjñā. 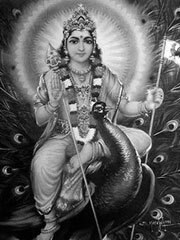 Saṃskāras are the source of karma. conscious base that support all experience. (ie not asleep, knocked out or unconscious). The Five Skandhas are a fundamental Buddhist concept and play an important part in Buddhist doctrine. For it is through the Five Skandhas that the world (Samsara) is experienced, and nothing is experienced apart from the Five Skandhas. Furthermore it is through the Five Skandhas that clinging (Upadana) occur and through the Five Skandhas that suffering (Duhkha) arises. Buddhist doctrine describes one physical and four mental Skandhas, which conveys the relative experience of the world by an individual. The order of the Skandhas is important, as the latter are dependent on all the former. So, for a given experience, in order for the fifth Skandha (consciousness) to be present, all the previous four need to be present also. ie Consciousness cannot exist without a body. Likewise, for the fourth skandha (volition) to be present, all the previous three need to be present. ie Volition cannot exist without feeling. Something must be felt as pleasant before the volition to experience more of it. Or something must be felt as unpleasant before the volition to experience no more of it. The Heart Sutra, an important Mahayana text, contains an extended elucidation on the emptiness of the five skandhas. We can see in sutra form, an expounding of the Buddha’s doctrine of Anatman (No-self, No-I). Here the doctrine of the Five Skandha supports the concept of Anatman. For if there is «No-self», «No-I», then what experiences? The answer lies in the five skandha. The eighteen dhatus function through the five Skandha. The dhatus make up the triads of: sense organ, sense object and sense consciousness. Trungpa, Chogyam (1976). The Myth of Freedom and the Way of Meditation. Boulder: Shambhala. ISBN 0877730849. Epstein, Mark (1995). Thoughts Without a Thinker. BasicBoooks. ISBN 0465039316.